Are you looking for an online video platform or video content management solution to support teaching and learning, across your campus or school district? Love a good top-ten list? You clicked to the right place. Here’s an overview of some of the ways the Ensemble Video platform can meet your needs, and help you grow. 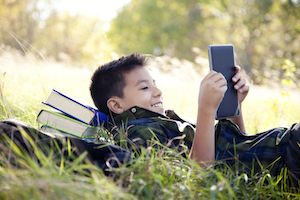 It’s official — if it isn’t mobile, it isn’t working. There are now more people on Earth with mobile subscriptions than toothbrushes (no, really). 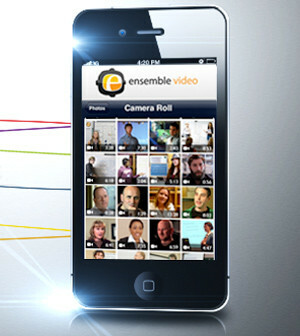 Ensemble Video supports mobile learning on the video content management side, as well as the viewing side. Users can capture video on mobile devices and upload directly to their Ensemble Video media library. iPad and iPhone users can upload from the Camera Roll, and even record directly into an Ensemble library. Ensemble detects a viewer’s device and bandwidth, and automatically delivers the optimum file through the appropriate player. Ensemble Video plays nice with others — it’s on our report card. Easy integration has always been key to our product-development philosophy. We help institutions meet teachers where they’re at, and provide media management and publishing capability that works with whatever tools they’re already comfortable with. Our system can ingest just about any audio or video content you can come up with, publish to just about any website, LMS, or CMS you can dream of (you can also generate a link directly to your video), and play on practically any screen you can pull out of your pocket. And we have all sorts of options to help you automate the process. We are constantly developing strategic integrations and partnerships with your favorite tools. Current and upcoming examples include Canvas, Blackboard, Moodle, Desire2Learn, Sakai, Echo360, Crestron, TechSmith (Camtasia Relay), and more. Check out our customer testimonials and case studies for examples of how different institutions leverage our platform in-concert with complimentary tools and technologies. 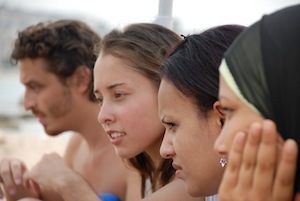 Gone are the days of the captive audience. Your lesson or message is competing with a deluge of stimulation from many channels, and many screens. You can stomp your feet and bemoan the departure of the good ol’ days, when people had attention spans, and when entertainment was (at most) second to information. Or, you can shift with the culture and deliver engaging, relevant content, and capture the attention of your constituents. The homegrown video solution is dead. We are sorry for your loss, and we want you to know you are not alone. A staggering number of savvy educators approached us at Educause, asking if we could help them get out from under their cantankerous old homegrown media management systems. Accommodating institutional security concerns, a growing demand for streaming audio and video teaching tools, and a consumer market flooded with video technologies has become a constant drain on IT staff and resources. Keeping homegrown systems updated and agile, while balancing your team’s other responsibilities, is ultimately unsustainable. We have helped many, and we can help you, too. YouTube is a great place to start. It’s vast, it’s free, and it’s a known entity that many people are comfortable with. Unfortunately, YouTube is limited for institutional use. 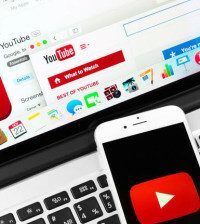 Security and privacy concerns often outweigh the benefits of YouTube for academic content. Many K-12 systems block it, and higher ed institutions have no cohesive way to manage multiple YouTube accounts, across their campus. Ensemble Video offers a way for colleges and school districts to deploy a secure, unified video content management and publishing system across their institution, and to provide educators and staff with autonomy within that system. AND Ensemble works with YouTube, allowing users to seamlessly push selected content to one or more YouTube accounts. Upload once, and publish to (and un-publish from) YouTube, right from your Ensemble Video Media Library. Our mobile-friendly Video Dropbox feature is an all-time favorite among our customers. It provides an easy way to harvest video and audio content from users who don’t have an Ensemble Video account. Teachers and faculty members love Video Dropbox for video assignments. 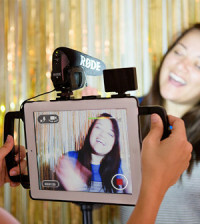 Video Dropbox is the perfect tool for video showcases and competitions. 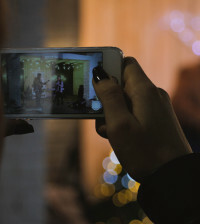 The Speak Truth To Power Student Video Contest is using Video Dropbox as a simple, user-friendly way for contestants to upload entries, right from their computer or mobile device. Contest administrators can utilize Ensemble’s robust sharing controls to enable private viewing for judges, and ultimately to publish winning entries to any website, CMS, or blog. Sponsored by the American Federation of Teachers, Tribeca Film Institute, Ensemble Video, and theRobert F. Kennedy Center for Justice and Human Rights, the competition empowers students to develop their storytelling skills, and engage in human rights activism. In today’s world, no tool or technology exists in a vacuum. This is especially true in education. We know how important it is for your video platform to work seamlessly with your LMS. 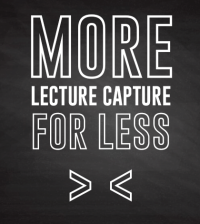 We also know you probably don’t want instructors using your LMS as a video platform. Although many LMS systems support some level of video publishing, this doesn’t tend to be their strength. And using an LMS for video content management and publishing ends up being like using a plastic fork to plow a cornfield — more trouble than it’s worth. Plus, you end up with all that video bogging down your LMS server. 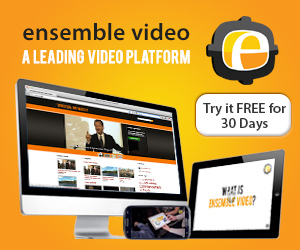 Ensemble allows you to keep and organize all your video in one place. Instructors can easily deliver their videos or video playlists from their personal media library, into their LMS courses, and content is never stored on the LMS server. They can use our customizable embed codes, or take advantage of one of our LMS integration tools to easily deliver video content to their constituents. Our collection of plugins and building blocks for popular systems like Blackboard, Canvas, Desire2Learn, Moodle, and Sakai make it easy for them to browse their Ensemble media library from within the LMS. Security. It’s one of the primary concerns for education institutions, when looking at online video platforms and video content management systems. Yes, you want an easy way to distribute content to your constituents, but you also need an easy way to ensure that content doesn’t fall into the wrong hands. Failing to do so can result in ethics and copyright violations, and even lawsuits. Ensemble Video has got you covered. We offer a suite of security features that allow you to tailor the delivery of your content to any situation or parameter. Whether you want your video to go viral, or you want to lock it down like For Knox, we’ve got a security recipe for you. You can limit viewing based on LDAP Groups or Shibboleth affiliations. For example, you may only want third-year law students to be able to view a particular video or playlist. You can also restrict video streaming to specific IP addresses. One application for this might be to allow only on-campus users to view selected content. You can also restrict streaming to a specific number of concurrent viewers. This is popular feature for libraries, who are interested in digitally checking out video materials, but need to satisfy licensing requirements by limiting the online stream to, say, two concurrent viewers at a time. There are lots of really great, really powerful video solutions on the market. It can be a bit overwhelming. One area we tend to stand apart from competitors, is the ease with which Ensemble Video can be deployed to users of varying technical abilities, across your institution. 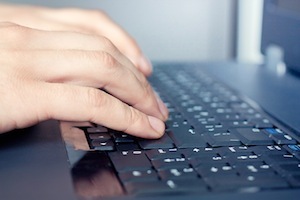 After all, your video strategy is only as good as your least savvy user. A flashy new video platform won’t do much good, if your faculty can’t figure it out, or you have to spend all your time supporting it. Ensemble Video’s distributed administration structure allows you to set up a range of permissions levels, to suit the needs and abilities of your constituents. Our simple user interface provides a headache-free way for beginners to upload and publish content, and offers more sophisticated features for the more experienced user. We also offer a customer support portal, fully-loaded with printable how-to documents, user manuals, and instructional videos. And when that doesn’t cut it, you can contact our world-class tech support team and expect a quick response from an actual human being, who’s actually knowledgeable about our product, and who will stick with you throughout the support process, until your issue has been resolved. Maybe that’s not so common anymore, but we don’t think it should be a luxury. We can all agree there’s an ever-increasing flow of video on today’s campuses. Whether it’s instructional or student-created content, or content used for marketing, library, professional development, administrative, evaluative, or news purposes — you need a simple, powerful, secure, cost-effective, and scalable way to manage it all, without pulling your hair out. Ensemble Video assimilates into your current infrastructure, and it grows with you. We can set you up with a self-hosted, cloud-hosted, hybrid, or multi-tenant installation, and tailor it to fit your needs. Smaller institutions and those just starting out with streaming video will not need the same things as more sizable institutions, like the State University of New York, which is the largest system of public education in the US, or those that crank out massive quantities of content, like the CESA 10 K-12 service agency, in Wisconsin. Ensemble Video works great on both ends of the spectrum, and anywhere in between. As mentioned before, we also cater to the broad and changing spectrum of tools and technologies used on campuses. So, as the technological landscape changes, and fads come and go, we will still be there to help you unify it all. Want to know more about Ensemble Video, and how hundreds of progressive institutions across the country are using it to support teaching and learning, every day? Check out our customer testimonials, case studies, visit our website, or contact us for a free trial or demo.